I've had good luck baking naan on an indoor grill. I have an electric one, but you could use a stovetop one as well. Just apply a little butter, ghee, or spray oil, wipe it off, and bake. 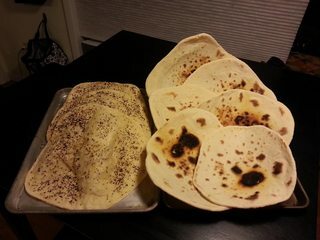 I used an alternative method to make lavash: an inverted wok over a stove burner. 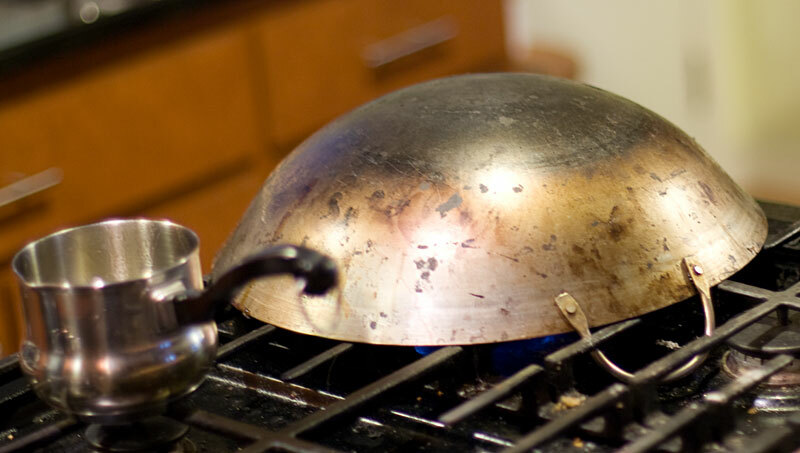 You'll need a gas stove to do this one. I applied them dry, cooked about 1-2 minutes on one side only. You can brush with butter or ghee after they're done. A naan by definition is a leavened flatbread baked in a tandoor. 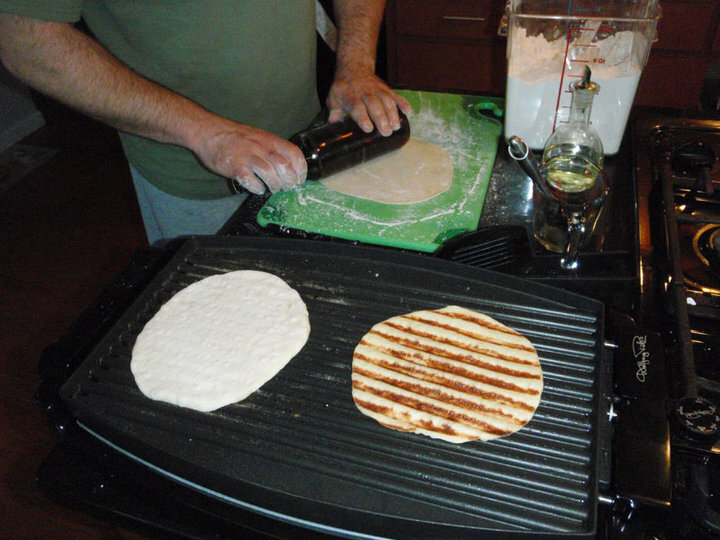 You can improvise by using a very hot oven, perhaps with a pizza stone to retain heat when the oven door is opened, and to transmit heat into the naan through direct contact. However, you have asked how to prepare naan without any kind of oven. 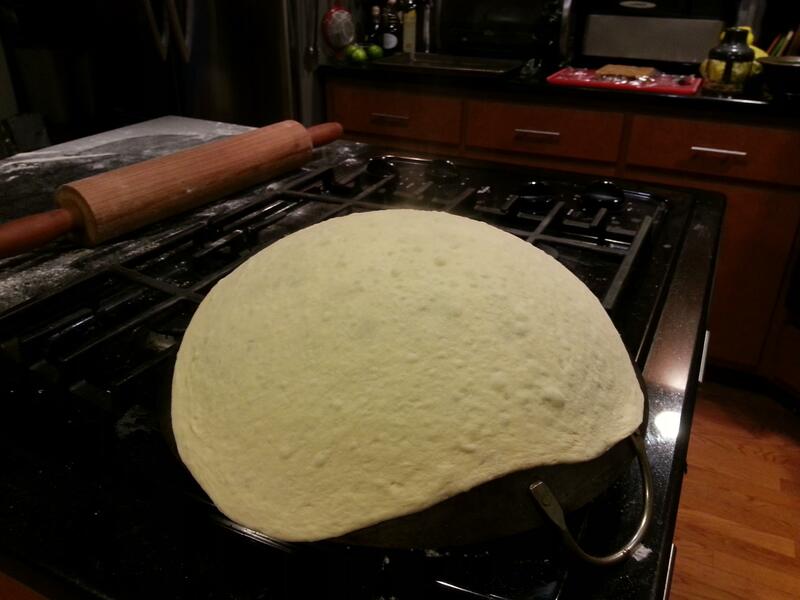 You can cook bread that's similar to a naan on a dry frying pan. Prepare the dough in the same way as you would prepare naan dough. Heat a frying pan until it is very hot. Roll out pieces that will fit in the pan and are about 5mm thick. Place in the frying pan and heat until cooked on one side. You will see it swell up. Turn it over to cook the other side. This is not naan - it is closer to kulcha - but it is a delicious flatbread accompaniment to curry, just like naan. I have had the best results baking naan on an outdoor grill- preferably charcoal. Get the grill as hot as you can. If your grill is big enough then indirect heat would be good. If the bread is over the flames then there will be a little charring but that tastes good as long as it isn't excessive. The naan will cook for around a minute on each side. Use plenty of butter. The key to naan is temperature of baking. I have found that somewhere around 315 °C – 425 °C [600 °F – 800 °F] is the optimum temperature for making naan. Most home ovens are not able to attain that high a temperature, which is why it is difficult to replicate the results of a restaurant at home. Without an oven it is even more difficult to attain that high a temperature, although there are recipes that use the inside wall of a pressure cooker as a tandoor for making naan on the stove top. You can try using that technique but increase the percent hydration of the dough. I make naan dough with about 80 percent yogurt by weight. You can try increasing the proportion of yogurt and see if the stove top technique works. I think the closest you can get to Naan without an oven is to bake it in a pan/skillet on high heat (as mentioned as well earlier). 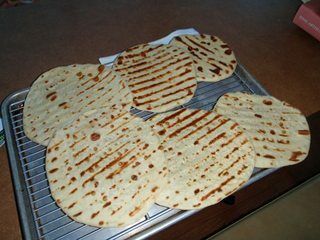 I personally don't have experience with naan-baking, however I once made tortillas (which is of course not the same as Naan) in a non-stick skillet which worked nicely. Even though tortillas and Naan are two different things, I recommend you try it using a skillet. Not the answer you're looking for? Browse other questions tagged baking bread indian-cuisine or ask your own question. How to bake without an oven?